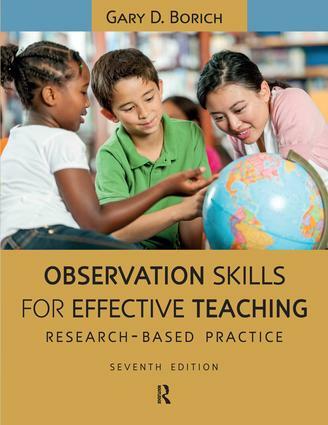 Thoroughly updated for the new era of Common Core Standards, this seventh edition of Observational Skills for Effective Teaching is vital in this time of educational change. It offers a detailed, yet easily accessible, handbook for teachers to prepare for and design their first classroom experiences. Updated with the newest research on effective teaching and learning, the book cogently introduces such topics as learning climate, classroom management, and lesson clarity with the newest findings that lead to desirable cognitive, social, and emotional outcomes in learners.